Between your full-length mirror and high-school biology class, you probably think you know a lot about the human body. While it's true that we live in an age when we're as obsessed with our bodies as we are with celebrity hairstyles, the reality is that most of us know very little about what chugs, churns, and thumps throughout this miraculous, scientific, and artistic system of anatomy. Yes, you've owned your skin-covered shell for decades, but you probably know more about your cell-phone plan than you do about your own body. When it comes to your longevity and quality of life, understanding your internal systems gives you the power, authority, and ability to live a healthier, younger, and better life. 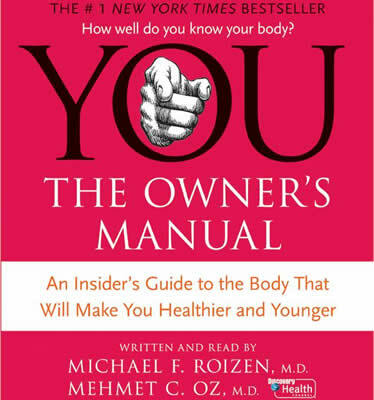 The flagship book of the YOU series, which spawned three subsequent New York Times bestsellers, has now been expanded and updated to make you understand your body even better—perhaps too well.